A new and penetrating assessment of Augustus as ancient Rome's military commander-in-chief by an author rapidly establishing himself as one of the leading historians of the period. The words Pax Augusta – or Pax Romana – evoke a period of uninterrupted peace across the vast Roman Empire. Lindsay Powell exposes this as a fallacy. Almost every year between 31 BC and AD 14 the Roman Army was in action somewhere, either fighting enemies beyond the frontier in punitive raids or for outright conquest; or suppressing banditry or rebellions within the borders. Remarkably over the same period Augustus succeeded in nearly doubling the size of the Empire. How did this second-rate field commander, known to become physically ill before and during battle, achieve such extraordinary success? Did he, in fact, have a grand strategy? 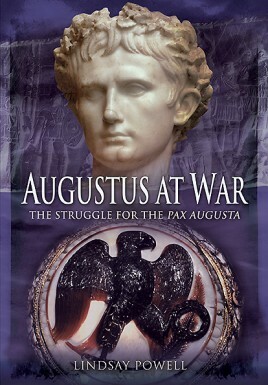 Powell reveals Augustus as a brilliant strategist and manager of war. As commander-in-chief (imperator) he made changes to the political and military institutions to keep the empire together, and to hold on to power himself. His genius was to build a team of loyal but semi-autonomous deputies (legati) to ensure internal security and to fight his wars for him, while claiming their achievements as his own. The book profiles more than 90 of these men, as well as the military units under their command, and the campaigns they fought. The book is lavishly illustrated with 23 maps, 42 color plates, 13 black and white figures and 5 order of battle schematics. With a forward by Karl Galinsky, this book breaks new ground in explaining the extraordinary achievement of Caesar Augustus. 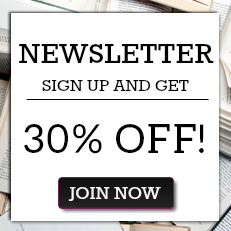 Lindsay Powell is a historian and writer who has a passion for the military history of the Roman Empire. He is a contributor to Ancient Warfare and his articles have also appeared in Military Heritage and Strategy and Tactics magazines and The History Network. His books include EAGER FOR GLORY, GERMANICUS and MARCUS AGRIPPA for Pen and Sword Books. A graduate of the University of Aston in Birmingham, he is a veteran of The Ermine Street Guard re-enactment society. He divides his time between Austin, Texas, and Wokingham, England.